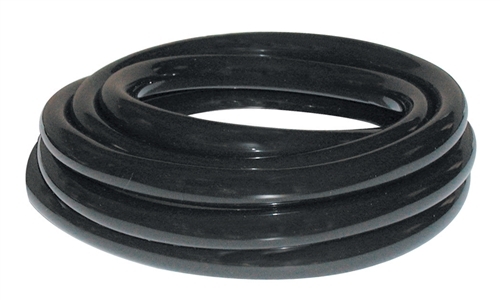 PondMaster Small 6" air diffuser kit with 5/8" x 20' Tubing. 16 sq. in. of Active Surface Area. Insert Diffuser into ballast bag after attaching hose. Add 2 smooth rocks the size of large eggs (about 1lb. of ballast or equivalent) to bag and cinch bag closed. It is recommended to also tie drawstring around tubing to ensure bag does not open underwater. Place aerator in ballasted bag in desired location. For Summer use: The Diffuser will work best when placed at the center in the deepest part of the pond in summer. The rising bubbles will lift and aerate bottom water, allowing oxygen to penetrate sediments and optimize waste decomposition. This will also keep stagnant deoxygenated layers from forming deep in the pond,and effectively circulate the entire pond if properly sized. The Ring Diffuser flowing one cubic foot per minute at 8' of depth will effectively aerate up to a 50 foot diameter pond; the shallower the pond, the less diameter can be circulated effectively. For Winter use: Your Diffuser is ideal for keeping a hole open in ice during winter, but the Diffuser should NOT be placed in deep water. Rather, place the Diffuser in weighted Ballast Bag in no more than 16"of water at perimeter of pond farthest from deep end or deepest pocket. This will ensure that the circulation from the Diffuser will not supercool the water, which is warmest in the deepest part of the pond. Recommended Tubing Size	½" or 5/8"